This statistic contains information on the Twitter timeline view volume from the first quarter 2012 to the fourth quarter of 2014. The home timeline is shown when a user logs into Twitter, showing all tweets of accounts a user has chosen to follow on the microblogging service. 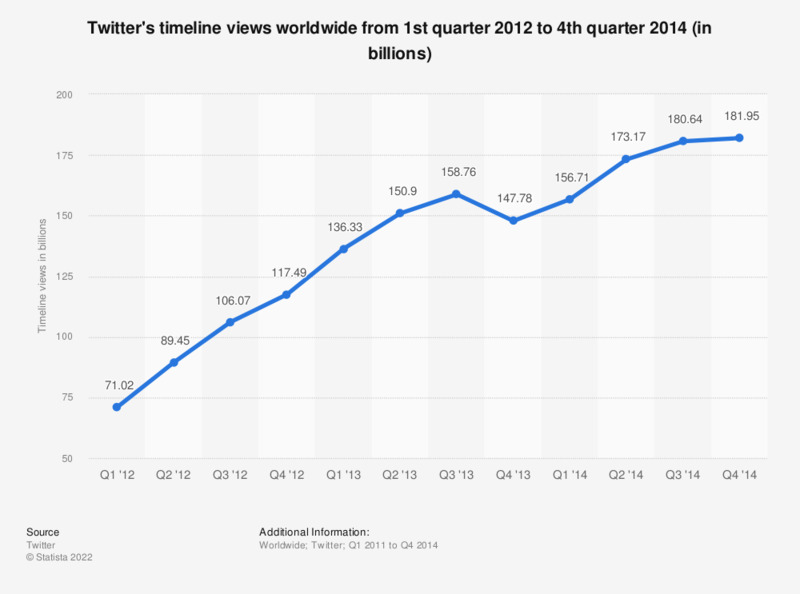 As of the third quarter of 2014, Twitter timelines had generated more than 180 billion views.